Gates open at 8:00 am to start parking. Entry Fee includes viewing access to all the shows and races! You will also have the chance to get professional pictures taken of your vehicle with or with out some of featured models! Sign up day of for photos at model booth. PWPensacola and use hashtags #PW4 and #PWPensacola to be featured. We look forward to seeing everyone for another year! 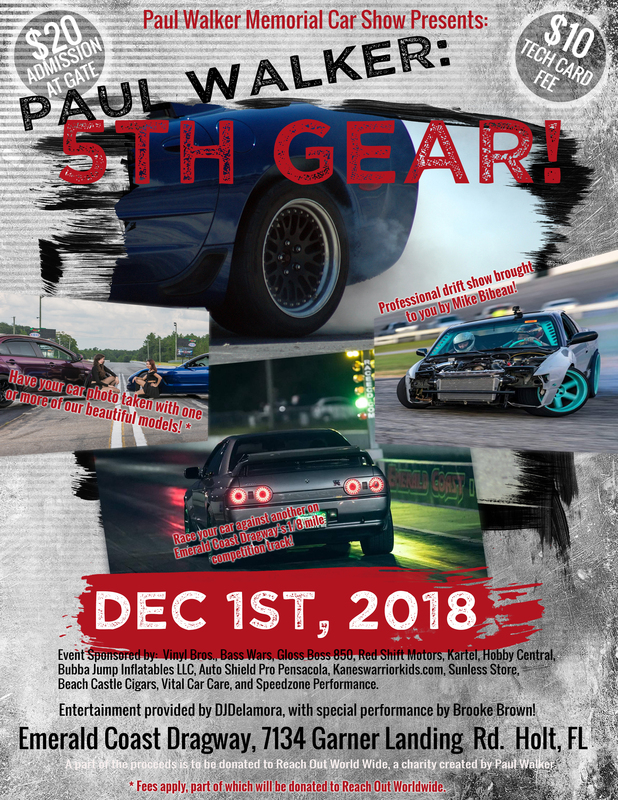 Last year we had over 500+ cars and are looking to be beat that again this year! We will set up racers in the normal Staging lanes, with VIP front and center at Dj Booth, as well as an amazing photo spot with launch spot in back ground! All racers must get their car, bike, truck Tech cards and signed by the Tech before going upstairs to register it. While racing you must keep you AC off , Windows up. All bikers must have long pants, long sleeves and a helmet to race.